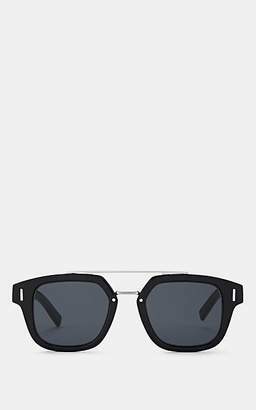 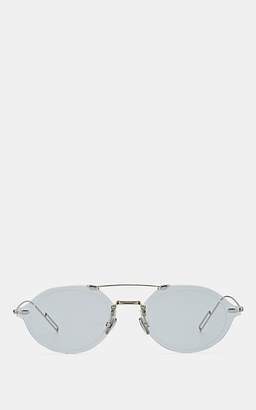 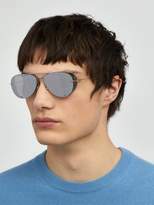 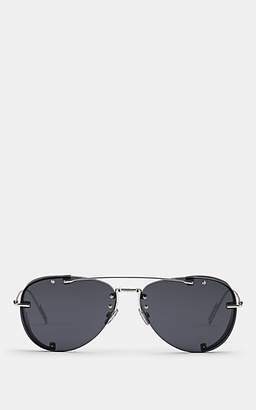 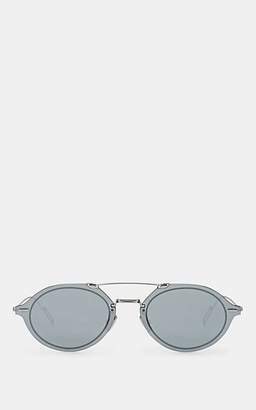 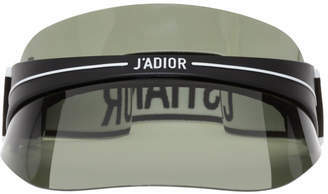 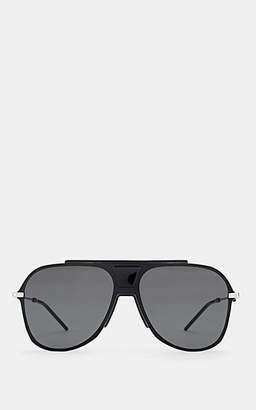 Dior Homme Sunglasses - These silver-tone metal DiorChroma1 sunglasses are an iteration of a transparent style seen on the SS19 runway. 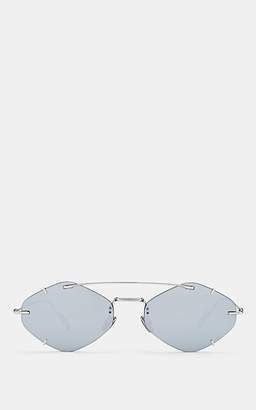 Expertly crafted in Italy, they’re shaped to an aviator frame with a classic nose bridge and brow bar, while the slim silhouette is constructed with grey tinted lenses and side shields for a modern inflection. 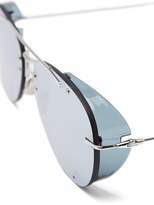 They offer high UV protection.